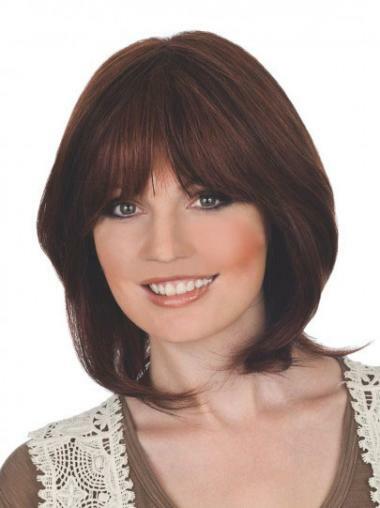 Mid-length 100% remy human hair wig is designed using the softest and most lightweight materials available for maximun comfort. It also has wispy bangs in the front that can be worn forward or off to the side. 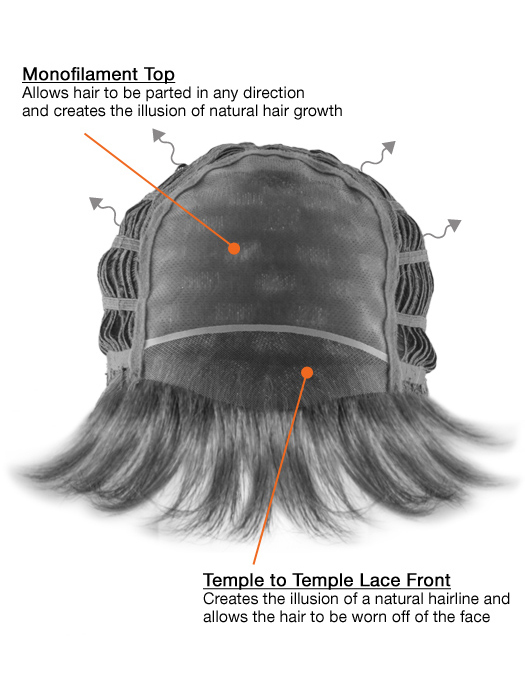 We utilizes exclusive lace front construction which feel soft and silky inside the cap. 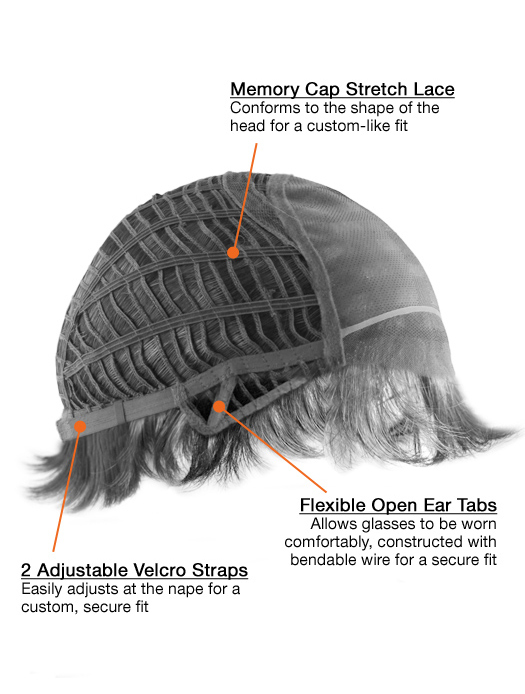 Because this design replaces machine wefted strips with a new stretch lace it eliminates scratchy, irritating friction aganist the scalp. I like it so farI like this wig so far, got it for almost a month now. It looks very natural and pretty.it's very versatile. The lace front is awesome. I had to cut off part of the lace front to make it more natural. Since the colour I got is very dark, looking closely you can notice thick hair roots coming out of the lace front.The length is nice. In conclusion, I like this wig a lot. Much ObligedI would like to say how pleased I am at the quality and price of your wigs. My wife is delighted too. Besides, your customer service is the best I have ever known in the world. My wife wears her wig to work and her colleagues are so impressed that they ask where it can be bought. She tells them and hopes that this can add more orders to you. Thanks again!!! very pleasedI have never felt better. Looks just like my hair but just much thicker. The colour matched perfect and wasn't shiny at all. Not even my family knew it wasn't the real me but, everyone comment on how great I looked. No more bad hair days!